· 1 lime cut in wedges, optional Kosher salt. Rim the glasses take a lime wedge and rim, then dip in salt. 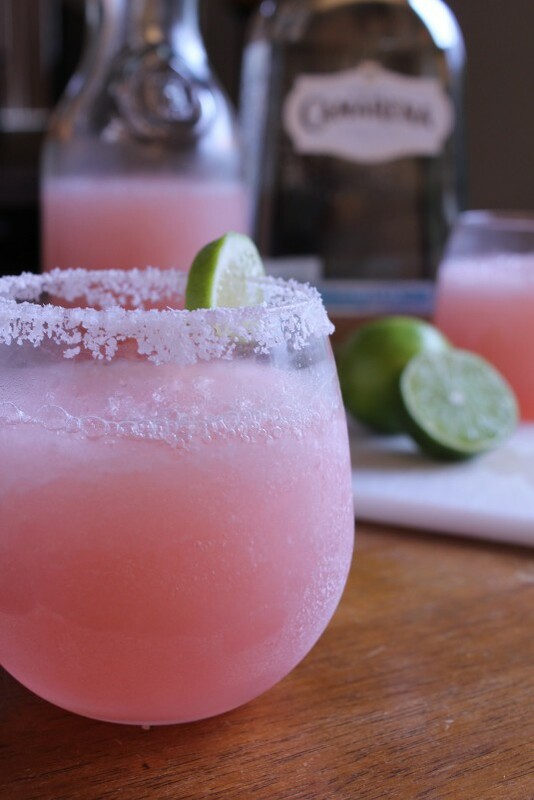 Combine the grapefruit juice, lime juice, triple sec, ice and tequila in a blender. Pour into a large pitcher and serve!